Floating cook shack sits on the river's edge. The huge bronze memorial, erected in 1931, depicts three figures stand on a bluff overlooking the beautiful Au Sable River. 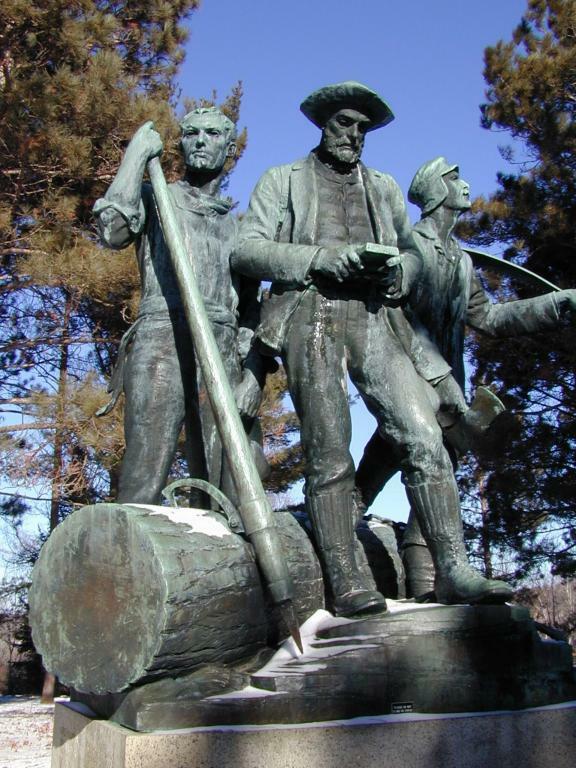 Its cost of $50,000 was borne by contributions from the descendents of the lumbermen who harvested the tree crop of Michigan. Their names are etched on the granite base of the statue.The visitor center building was added in 1981 and the grounds reconstructed and relandscaped in 1981-82. The Center was rededicated in 1982, the 50th anniversary of the CCCs who originally constructed the center area and planted the large pines in the area. Interpretive signs and exhibits tell the story of moving logs from the forests to the mills. Children enjoy climbing the log jam and using the crosscut saw. 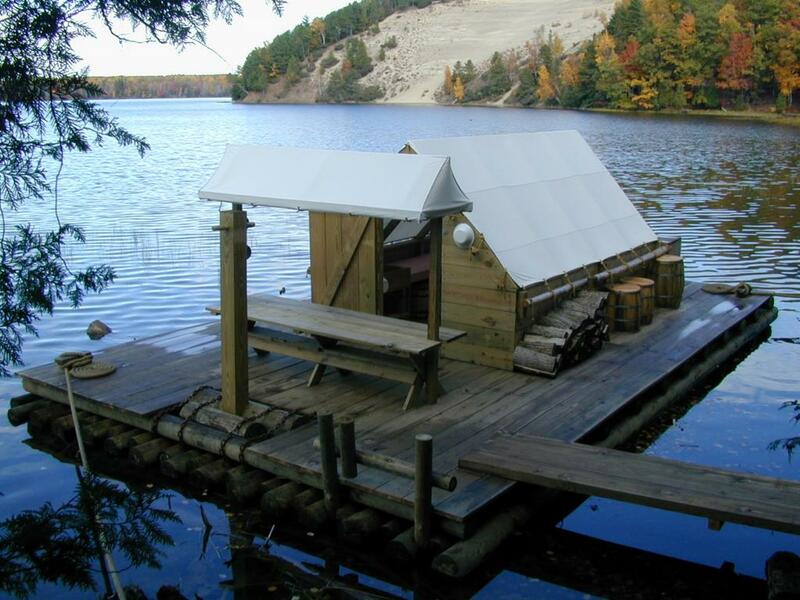 For those willing to hike 260 steps to the edge of the Au Sable, they can board the Wanigan, a replica of the floating cook shacks that followed the river drives.